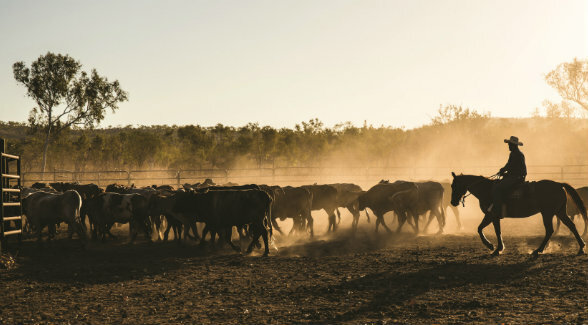 Home › Topics › Agriculture › Land Report 2016 Deal of the Year: Australia’s S. Kidman & Co.
A stockman musters cattle at a remote station in the northernmost region of Western Australia. Founded in 1899, S. Kidman & Co grew to be larger than all of Ireland. Its sale became a national obsession for Australians of all walks. 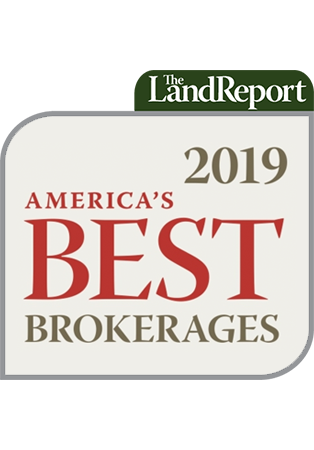 The ability of a bold soul to take on a larger-than-life challenge and somehow emerge victorious is a central tenet of great landowning traditions. (Just ask Horatio Alger.) Richard King was an 11-year-old stowaway when he was hoisted from the hold of the Desdemona. Two decades later, King Ranch was born in the Wild Horse Desert. In his early twenties, George Hearst quit Missouri to become a Forty-Niner. By the time he bought San Simeon in 1865, he owned interests in the Comstock Lode and the Ophir Mine. Next up were Montana’s Anaconda Mine and South Dakota’s Homestake Mine. Sir Sidney Kidman (1857–1935) was neither a knight nor a cattleman when he left his Adelaide home and struck out on his own. He was a plucky 13-year-old astride a one-eyed horse with five shillings to his name. Sixty-five years later, Sir Sidney was borne into the next life at the head of a mile-long cortege. Odds are there weren’t any one-eyed horses pulling his bier. An estimated 200 wreaths crowned his grave. And his pastoral empire totaled approximately three percent of all Australia, including more than 100 stations, 176,000 head of cattle, and 215,000 sheep. In sheer size alone, S. Kidman & Co dwarfed many countries. 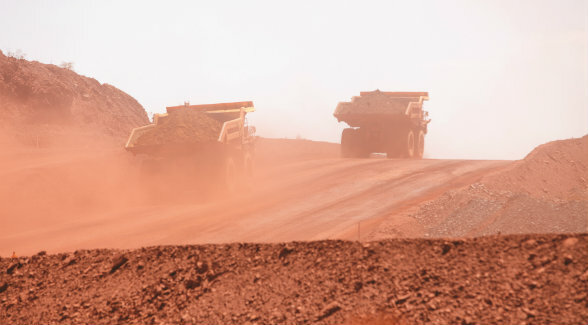 The Pilbara region of Western Australia is home to the world’s largest iron ore deposits. They formed the basis for the Hancock family fortune. Like King and Hearst, Kidman was denied a formal education. Instead, he spent decades in the bush learning the livestock business as a drover, a bullock driver, a stockman, and a livestock trader. The gold rush that swept Australia lined his pockets, thanks in large measure to miners’ willingness to pay a fortune for everyday goods. In his twenties, Kidman began trading mining interests. 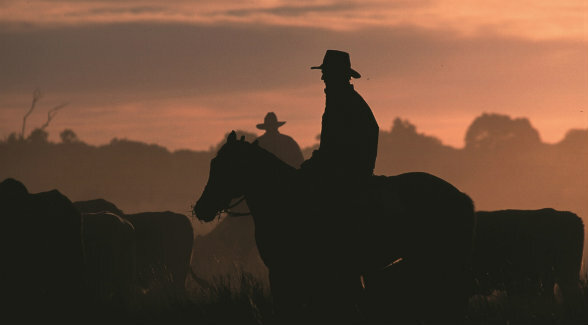 In his thirties, he and one of his brothers bought their first cattle station. His ever-expanding holdings soon reached from South Australia to New South Wales and from Queensland to Western Australia. Rivers and waterways not only connected his far-flung stations; they drought-proofed them. Simultaneously, they created a serpentine series of routes to market. S. Kidman and Co was built to last. Although some partitioning took place following Kidman’s passing, it endured for five generations. But in 2010, Kidman’s great-grandson Will Abel Smith was passed over as chairman of the board. In his stead, a non-family member, John Crosby, was chosen. A long-simmering rift among key shareholders had finally come to light. Smith controlled 27 percent of Kidman. Not long afterward, the sale of the family-owned operation became imminent. In 2014, news of the decision to sell S. Kidman & Co hit the Lucky Country with gale force. Like the Ashes and the Melbourne Cup, the cattle kingdom is a vital element of Australia’s patrimony. It literally predates the founding of modern Australia in 1901. The daughter of Lang Hancock (1909–1992), Gina Rinehart, 63, succeeded her father as chairman of Hancock Prospecting and has since acquired numerous cattle stations. Some might label it hyperbole to credit a collection of outback cattle stations with strategic national interest. The Australian Treasurer, Scott Morrison, is not among their number. Not only does S. Kidman & Co control almost 30,000 square miles of land, but it turns out that its largest holding, South Australia’s 6,000,000-acre Anna Creek Station, is located within a testing ground operated by the Royal Australian Air Force known as the Woomera Test Range. This security interest was one of several reasons why Shanghai-based Pengxin’s initial bid of A$350 million (US$270 million) in late 2015 was rejected on security grounds. In 2016, Pengxin returned to the table with yet another bid. Pengxin’s second run at S. Kidman proved to be far more astute. Not only did it exclude Anna Creek, but it included a Brisbane-based minority partner, Australian Rural Capital. That proved good enough for the Kidman Group board, which gave a thumbs-up to an A$370 million offer (US$285 million). It too was rejected by Canberra. “Given the size and significance of the Kidman portfolio, I am concerned that the acquisition of an 80 percent interest in S. Kidman and Co Limited by Dakang Australia Holdings may be contrary to the national interest,” Morrison said. Agriculture Minister Barnaby Joyce seconded the sentiment. “My preference always is for the Australian asset to be owned by mums and dads of Australia,” Joyce said. The stage was set for a local hero. Make that a heroine. 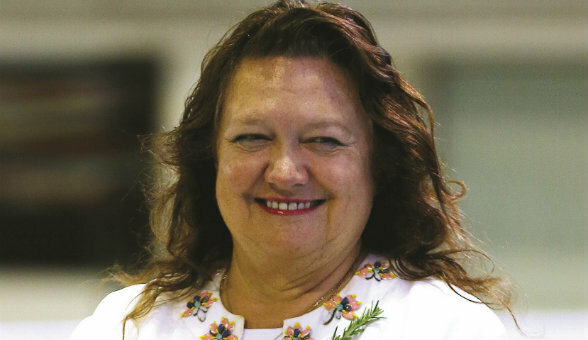 Gina Rinehart’s fortune is pegged in the tens of billions. In the 1950s, her father, Lang Hancock, discovered the world’s largest deposit of iron while traveling through an isolated section of Western Australia’s Pilbara region. More than a decade passed before Hancock could stake his claim to this mother lode. Once the government gave its approval, Hancock Prospecting began cashing multimillion-dollar royalty checks that arrive to this day through an operating agreement with Rio Tinto. The company’s ore has literally built modern China. Following Hancock’s death, his daughter Gina became chair of the family enterprise. Since then, she has directed a sizeable portion of the family fortune into land. No matter the era, the skills and savvy of able-bodied stockmen such as the young Sidney Kidman are essential to the success of Australia’s mighty cattle stations. According to Australia’s ABC News, in 2014, Hancock Prospecting paid A$40 million (US$31 million) for a 50 percent interest in the Liveringa and Nerrima cattle stations in the Kimberley. Like her father’s decision to develop Western Australia’s iron ore reserves, Rinehart sensed a keen export opportunity. “We are well placed to meet the growing needs of our Asian neighbors,” she said. The following year, Rinehart expanded Hancock’s agricultural portfolio by acquiring another outback landmark, Fossil Downs. The million-acre station had been in the MacDonald family since 1882, and its sale upped Rinehart’s Western Australia herd to 60,000 head of cattle. Rinehart’s first offer for S. Kidman & Co came in at A$365 million (US$280 million). Not only did it top all previous bidding, but after twice being rebuffed for national security considerations, Dakang Australia Holdings had exited the negotiations. Yet Australian Outback Beef, Rinehart’s investment vehicle, was one-third foreign owned by China’s Shanghai CRED. A rival offer, one that was entirely Australian, was tendered by four of the country’s leading farming families: the Brinkworths, the Buntines, the Harrises, and the Oldfields. Known as the BBHO Consortium, the foursome upped the ante to A$386 million (US$297 million). Rinehart doubled down. She not only countered by raising her bid by another half million, but she indicated that if needed, she would buy S. Kidman & Co without any partners. In addition, Anna Creek and its outstation, The Peake, would be carved off and sold to the neighboring Williams family. With these stipulations in place, the Kidman Group accepted her offer, the federal government approved the sale, and Gina Rinehart became one of Australia’s top beef producers. Like it or not, Sidney Kidman would have taken the deal himself.